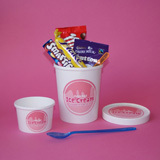 All you need for party guests to make their own ice cream sundaes - just add ice cream! 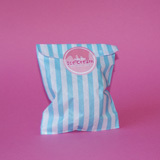 Great for younger party guests and as alternatives to party bags for kids. 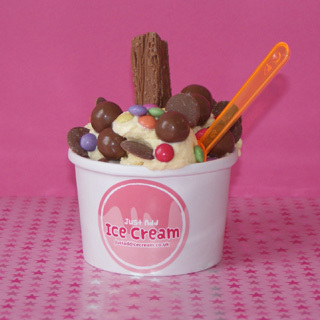 Extra ice cream dish so no washing up! 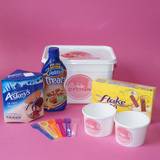 Older children and teenagers might like our large chocolate party tubs instead. 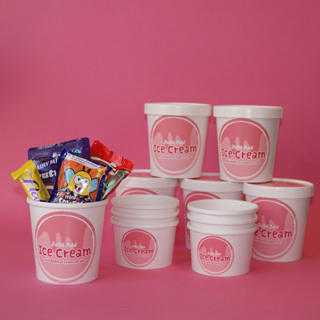 Select how many sets of 6 party tubs you would like to buy. 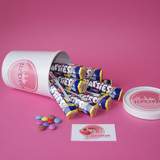 FREE with every party tubs order! 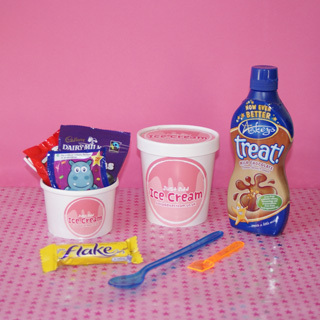 We will add a free bottle of Askey's Strawberry or Milk Chocolate Ice Cream Sauce to your party tubs order for guests to squirt over their sundaes. 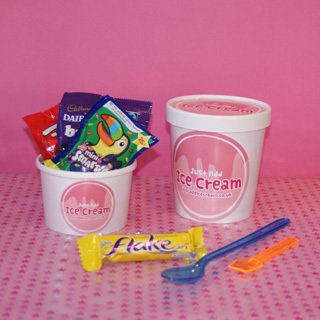 If you're ordering tubs for a children's parties, remember after the sundae, our ice cream party tubs can then convert into unique goody bags for the children to take a slice of Birthday cake home. Check out our How It Works page for more details. 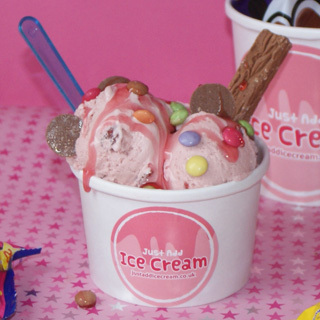 If you have any questions, please email hello@justaddicecream.co.uk and we will be happy to help you. 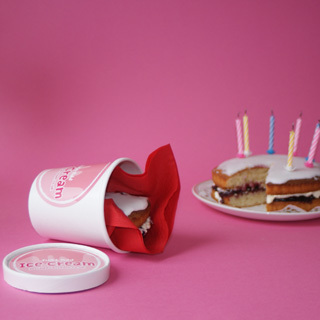 We aim to respond to all emails within 24 hours. 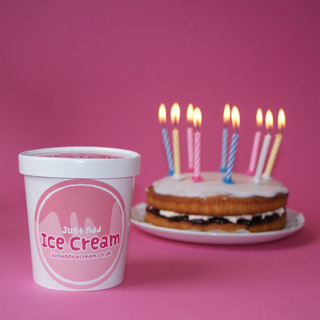 For more information, help or advice please email hello@justaddicecream.co.uk. 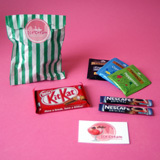 UK delivery starts from £6.95. The delivery cost for your order will be shown clearly before you pay. 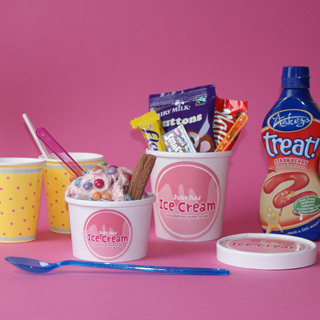 All images copyright © Just Add Ice Cream. 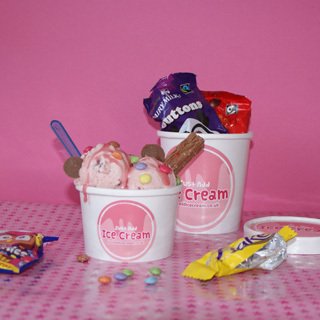 Images may not be copied, redistributed, reproduced or published in any form or by any means without prior written permission from Just Add Ice Cream.